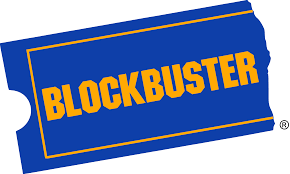 Throughout the late 80s and early 90s I spent countless evenings wandering the aisles of the Blockbuster near my house, slowly walking by movie titles I'd already passed two thousand times. That's the one memory that will live on for me: Never being satisfied. Isn't that ridiculous? I must've walked into one of those stores at least 300 times over the years, if not more, mostly because I had a child, and that's just what families did on weekends. We went to Blockbuster. And yet, with hundreds and hundreds of titles begging for attention from those shelves, I never seemed to see anything that (a) looked remotely interesting, or (b) I hadn't already seen at least three times. Yet I went back, again and again. I would find something tolerable, walk through the store to find my wife, who would stare at my choice then shake her head. She'd hold up her pick, and I'd shake my head. Then we'd wander off again, both looking for a compromise. Okay, so now it's funny to me. But really, have things changed all that much? Instead of strolling up and down the aisles, looking at the same damned movie cases, we all sit on the couch and scroll up and down the Netflix menu, seeing the same thumbnails, over and over again. Scrolling is the new strolling. Ultimately we try to find the compromise, and you know what compromise means, right? That means instead of one person being unhappy with the choice, both sides are unfulfilled. So farewell, Blockbuster. Your lasting legacy is that you taught us how frustrating thousands of choices can be. At least when we "scrolled" at your stores we got some exercise.